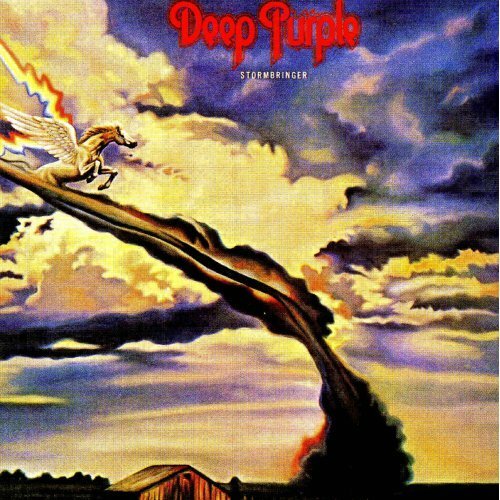 This is the CD/DVD remaster of the 1975 Deep Purple record, Stormbringer and the last to feature Richie Blackmore in the 70’s, before he split to form Rainbow. On the CD you have the complete remastered version of the record and 4 Glenn Hughes supervised remixes and a bonus instrumental version of High Ball Shooter. The DVD has the original quadraphonic mix put into 5.1 format and the sound is absolutely incredible. What a great sound production and mix. As for the music, I have quite mixed views. The band was clearly moving into a totally different direction and clearly Richie was not totally on board. Besides, a few great tracks like Stormbringer, Lady Double Dealer and Solider of Fortune there are too many weak songs. You could hear a lot of what later would come in David Coverdale’s Northwinds record in these tracks. An interesting record and great story in the long booklet.